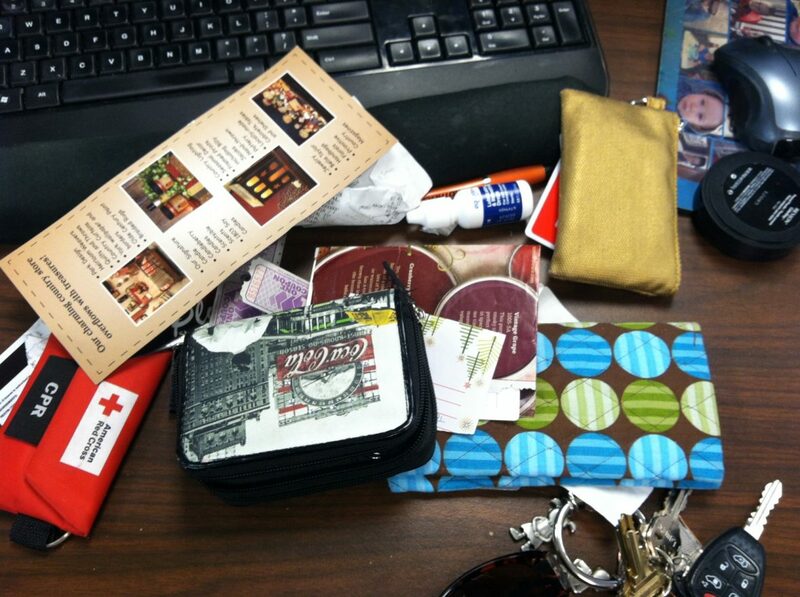 Yes, my purse was messy. Oh my I would hate to dump mine out. I can tell you a couple of the less obvious things. I have and Ernie doll and Peter Pan doll. Cow salve because you never know when you might need it. I am sure a shoe is in there to. okay, so Nana empties her purse on her chair: checkbook, glasses,billfold,address book, tissues, receipts, nothing exciting in there. You forgot the Hot Wheels, Barbie doll, and kitchen sink.